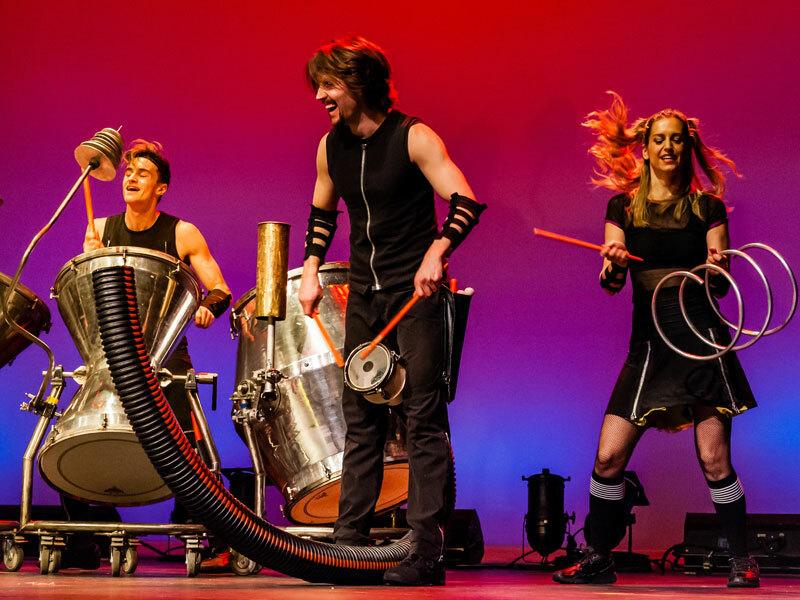 Scrap Arts Music delivers intricate rhythms, raw energy, athletic choreography and the hottest—most inventive—reuse of materials on stage today. With instruments fashioned from industrial scrap and offbeat materials ranging from accordion parts to artillery shells, Scrap Arts Music’s original instruments and music are as visually striking as they are sonically riveting. Audiences from four continents have welcomed this electrifying quintet with unbridled enthusiasm, embracing their intoxicating mix of music, movement and spectacle. Transcending language, culture and age, Scrap Arts Music offers a highly physical, wildly theatrical and thoroughly entertaining taste of the musical vanguard and suitable for all ages. palette, while developing simple musical ideas as a finale to the workshop. Workshops are limited to 30 participants each. There is no charge but you must pre-register. Performance with Scrap Arts Music will be Saturday, April 23… yes, Earth Day! Clean-Up Day will be held May 7, and the thank you party Trash Bash will be held from 11 am – 2 pm at Pioneer Park. We ask you to bring a found object to Pioneer Park where we will create a community found object art installation under the direction of local found object artist Craig Buchanan. I am sure we can come up with other things we may want or need for the event – lets brain storm..